Each EU institution, body or agency (EU institutions) has appointed a data protection officer (DPO). It is the DPO's duty to ensure in an independent manner the internal application of the data protection rules applicable to the EU institution. This also involves other tasks such as ensuring that controllers and individuals (data subjects) are informed of their rights and obligations, and cooperating with the EDPS at his request or on their own initiative. 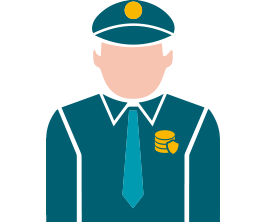 A list of data protection officers can be found on the EDPS website. The law applicable to EU institutions and bodies when they process personal data of individuals is about to change. The new Regulation will come into effect in 2018 (repealing the existing Regulation (EC) 45/2001) and has significant implications for all those dealing with personal data in their work. As part of the EDPS training campaign for EU institutions, EDPS staff will deliver two practical training sessions for EU staff members working in Luxemburg. The course gives you a practical overview of data protection principles, your institution's accountability in practice, how to embed data protection principles in new procedures and projects, what to do in case of personal data breaches, how to ensure data protection compliance in procurement procedures and much more. This course aims to help you prepare for these new rules. More information and registration for EU staff members working in Luxembourg through EU learn. In the October 2017 edition of the EDPS Newsletter we cover the theme for the 2018 International Conference of Data Protection and Privacy Commissioners, our priorities for the next 12 months, and our ongoing training in preparation for the new Regulation. 42nd Meeting of the Data Protection Officers of the EU institutions and the European Data Protection Supervisor, European Medicine Agency, London, UK. DPO Corner: Introduction to data protection, legal basis, rights of data subjects, transfers of data, prior checking procedures. The DPOs in the EU institutions and bodies, around 60 in total, organise themselves in a network, which the EDPS actively supports. The main feature of this network is the DPO meetings, which take place twice each year. These meetings have taken place since 2004 and represent a valuable opportunity for DPOs to share experiences from their respective institutions both with one another and with their supervisory authority, the EDPS. The meetings are also an opportunity for the EDPS to present our policies and activities to DPOs, who are our close partners and main contact points within the EU institutions and bodies. The next DPO meeting will take place at EUIPO in Alicante on 27 October 2016. It will include discussions on EDPS inspections, Data Protection Impact Assessments, right of access and restrictions and EDPS Guidelines on mobile devices and web services. For more information please consult the agenda. For a number of years, the DPOs in the EU institutions and bodies have met at regular intervals to share common experiences and discuss horizontal issues. These meetings which take place twice a year have been a regular fixture in the EDPS calendar since 2004 since they are a valuable opportunity to listen to DPOs sharing experiences from their respective institutions with one another and with their supervisory authority - us. These meetings are also an opportunity for the EDPS to present our policies and activities to DPOs. The upcoming DPO meeting at Eurofound in Dublin on 28 April 2016 will include discussions on the EDPS' e-communications guidelines, staff appraisal, whistleblowing and cloud computing. 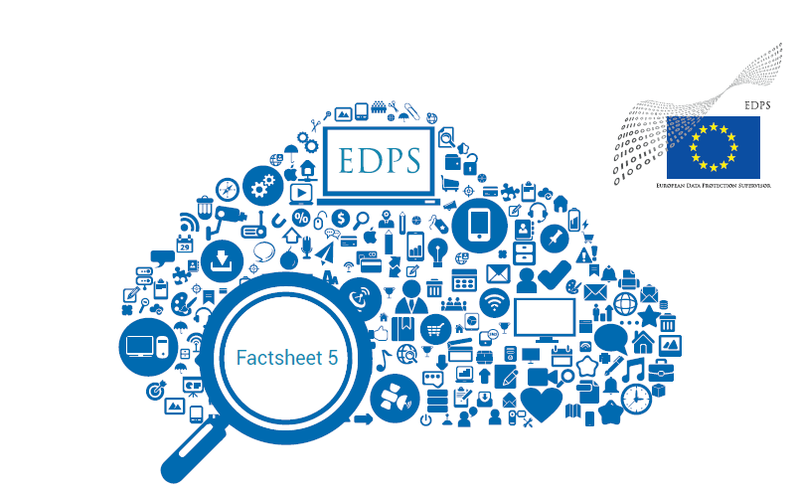 The December 2015 edition of the EDPS Newsletter covers the EDPS Opinions on Big Data and Digital Ethics and many other EDPS activities. 2014 was a year of transition for the EDPS, marked by the delayed selection and appointment of a new Supervisor and Assistant Supervisor. Despite the resulting uncertainty, the EDPS under the calm authority and tireless efforts of Peter Hustinx, whose 10-year tenure as EDPS drew to a close in 2014, continued to make significant progress in mainstreaming data protection in EU policymaking. Building on this legacy, the EDPS' priorities for 2015, as part of the five year strategy of the dynamic team of new Supervisors, is to help the EU to speak with one voice on data protection to uphold the rights and interests of the individual in our digitalised society. To this end, the adoption of the data protection reform will be a significant milestone for Europe and an important message to the rest of the world.